What is Vienna famous for? Vienna is known for historical buildings, music and art. It also offers lots of delicious food and free activities. 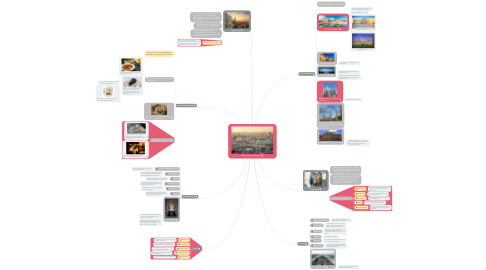 Learn more about the details in this structured mind map about Vienna. 1.1. Viennese cuisine has a standalone reputation among Austrian cuisine. 1.2. On top of the food list are Wiener Schnitzel and Sacher Torte. 1.2.1. The Schnitzel is typically from veal but can also be made from pork. 1.2.2. The original recipe of the the Sacher Torte has been kept a secret since almost 200 years. At present, it is locked away in the safe of the Hotel Sacher Vienna. 1.2.2.1. The Sacher cake is made from chocolate, with a fine layer of apricot jam. 1.2.2.2. Another famous cake is the Imperial Torte. Created 1873 at the Hotel Imperial. 1.2.2.2.1. "People's enjoyment of the cake is still as exquisite today as it was in 1873: a mouth-watering chocolate icing, a slightly tart aroma of almonds and the fusion of chocolate cream and marzipan combine to make the perfect composition." 1.3. The list of famous savoury dishes goes on with Gulash and Tafelspitz. 1.4.1. Vienna ist also famous for the many traditional Cafés, where people like to drink coffee, eat Apfelstrudel and sit there for many hours. 1.4.2. There are many different types of coffee in Vienna. You can't just order "coffee"
2.3.1. It was the base of the Habsburgs for over six centuries. 2.7.1. The Vienna Opera house on Ringstrasse ranks among the best opera houses in the world. Many members of the Vienna Philharmonics play there. 3.1. Wolfgang Amadeus Mozart, Vienna waltz king Johann Strauss (photo) and a wealth of other Austrian and international composers rose to musical fame in Wien. 3.2. Each day, a few dozen Vienna concerts take place. The Vienna Philharmonic Orchestra conducts the annual Vienna New Year’s Concert, which is broadcast to millions of households around the world. 3.3.1.1. Used by the Vienna Philharmonic Orchestra, this concert hall has some of the world's best acoustics. 3.3.2.1. A performance at Vienna's famous opera house is unforgettable. 3.3.3.1. Top-flight classical concerts are staged at this multistage venue. 3.3.4.1. Listen to the angelic voices of the Vienna Boys' Choir at its dedicated home venue. 3.3.5.1. Contains the Museum of the Vienna Philharmonic and imaginative interactive exhibitions. 4.1. Vienna has been ranked the best place to live in for many years in a row (Mercer Consulting’s Quality of Life surveys; see also Monocle Magazine’s regular annual Quality of Living survey). 4.2. The main reasons for this are a low crime rate, low pollution and excellent public transport. 4.3. Health and wellbeing are actively promoted, through well-run hospitals, urban planning, public transport and city bikes, parks and gardens. 4.4.1. Vienna has a well-developed public transport network. Buses, trains, trams and underground lines will take you almost anywhere in the city in no time at all. 5.1.1. There are masterpieces in every room at Vienna's finest museum. 5.2.1. A stunning collection of works with a strong focus on Egon Schiele, Oskar Kokoschka, Richard Gerstl and other expressionists. 5.3.1. The Museum of Modern Art covers virtually all 20th- and 21st-century movements. 5.4.1. The ensemble of galleries here focuses on the pantheon of Austrian artists from the Middle Ages to the present. 5.5.1. Showcases local and international artists in changing exhibitions. 5.6.1. Striking state apartments augmented by copies from the graphics collection and the outstanding Batliner Collection. 5.7.1. The snow globe was invented in Austria in 1900 when Erwin Perzy was trying to improve on the light bulb. 5.7.2. He added water and semolina flakes, in the hopes that the light would bounce off them and cast a brighter glow. That didn't happen, but the effect was striking. 5.7.2.1. Mass production began in Vienna in 1905 by his company, Original Vienna Snow Globes, and the flakes are still falling today. 6.1.1. Vienna's largest and most famous market is a feast for the senses. 6.2.1. This fruit, vegetable and foodstuff market reflects its location in the Turkish district. 6.3.1. Leopoldstadt's local flavour is in full swing at this ethnically diverse market. 6.4.1. Pick up organic picnic ingredients at this Innere Stadt market. 6.5.1. A hive of activity in the Landstrasse district. 7.1.1. This sprawling palace was home to the Habsburgs from 1273 to 1918. 7.2.1. This fascinating cemetery is one of the largest in Europe; pay your respects to Beethoven, Brahms and Schubert. 7.3.1. Move past this Christmas Market's obvious tourist appeal and enjoy the lively atmosphere and flowing Glühwein (mulled wine). 7.5.1. One of Europe's largest auction houses and a must-see for lovers of antiques. 7.6.1. This large park encompasses meadows, woodlands, an amusement park and the city's famous Ferris wheel. 7.7.1. Time your visit for late June and join this massive free music festival.